Designed for the .357 Magnum this 5 shot in stainless or blue steel is built to the Taurus Zero Tolerance standard. In design, fabrication, fitting and performance, there is simply no tolerance for parts which do not perform as if someone's life depends on them. 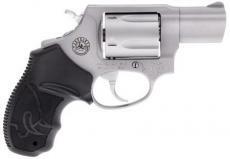 Like all Taurus firearms, the Model 605 carries the Taurus Security System and unlimited lifetime repair policy.